Jewellery store 18 Karaats has two locations in Singapore, one within The Centrepoint shopping centre (176 Orchard Rd) and another at 112 Katong mall (112 East Coast Road). 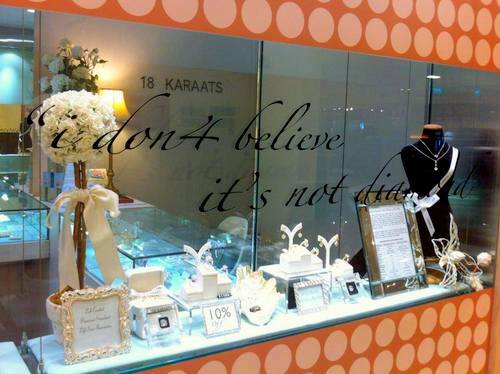 Established in 2007, 18 Karaats specializes in selling simulated diamonds that are set on 18K solid gold. 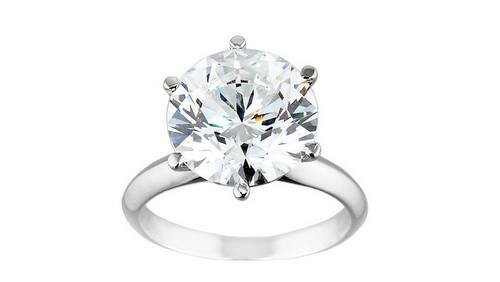 Each of the company’s diamond simulants are lab created in the United States, and feature similar characteristics to natural diamonds. The lab created stones resemble real diamonds closely and have the same appearance to the perfect natural diamonds. In fact, with no imperfections, it is difficult for professional jewellers to distinguish them from real diamonds without examining them under a gem scope/detector. The eye appeal of lab created diamonds is that they are equivalent to a D colour and IF (flawless) in clarity, each beautifully cut by diamond master cutters and polished using synthetic diamond powder, performing even better than a large percentage of natural diamonds. Showcasing exquisite workmanship and affordability, 18 Karaats’ designs are hand-crafted by skilled masters in Hong Kong, set in 18k solid white gold (750), and also available in yellow and rose gold upon request. The range of jewelry includes pendants, earrings, rings, as well as bracelets. The official 18 Karaats Facebook page is available at www.facebook.com/18Karaats. Following the Facebook page, you’ll see some of the latest 18 Karaats jewellery designs, popular jewelry types, and much more.